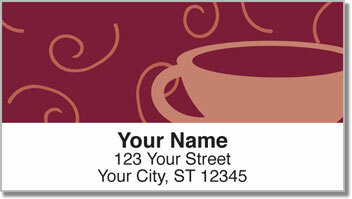 Hey java junkies, we've got something hot just for you! Instead of hastily scribbling your return address on your outgoing envelopes and packages, why not use handy Cup of Coffee Address Labels from CheckAdvantage? Besides reminding you of the delicious rich brew, these self-adhesive labels will save you time whenever you prepare your mail. You can also use them to identify books, DVDs or other items you may lend. No matter where you affix them, these personalized stickers speak a fundamental truth about you: That you'll choose a steamy cup of joe wherever you go! 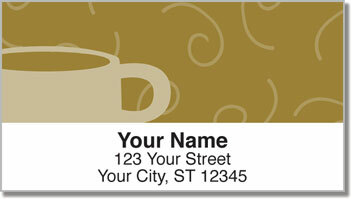 Also available are our matching Cup of Coffee Personal Checks-order both today!